After reading all kinds of things on IH8MUD forums, various vendor websites and overlanding journeys of others, it finally came down to...what do I want to try? Noteably, I read multiple forums suggesting that lift kits greater than 1.75" will create maintenance and wear issues for the vehicle that ordinarily wouldn't occur. I went with a 2.5" heavy duty lift kit from Slee Offroad. 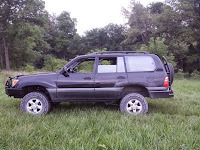 Considering the heavier ARB front bumper, Slee back bumper, the planned rooftop tent, single axle off-road trailer and secondary fuel tank, with the help of Christo Slee, I planned for no-road, logging road, creek and small river terrain, outback in the middle of nowhere camping with the family. Will the vehicle be a daily driver? Or overlanding/off-road only? Will the off-road experience be paved, gravel, dirt, logging, mud, no-road, etc? OEM curb weight? Modifications that will add or remove weight? Towing? No towing? If towing, what? Where do you plan to travel? Domestic US? International? If international, what kind of travel? How many people will be transported in the vehicle? Because I personally have neither the tools, nor the experience, to install springs, and particularly the torsion bars, I decided to go with a local shop who told me they have experience doing multiple lift kits on off-road vehicles. Two days of work and BAM! I now have a bit of a jump to get into the vehicle. Overall, I'm pleased with the work. 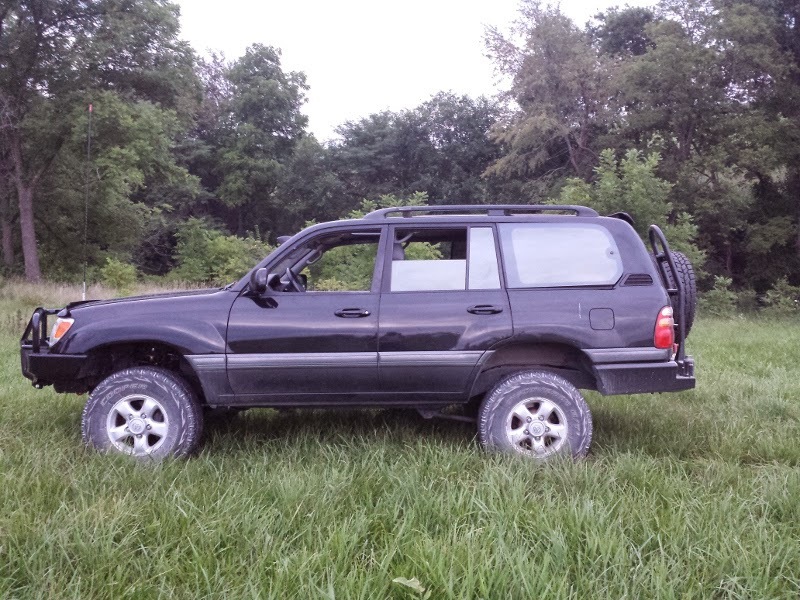 Having no experience here, I've driven been driving, testing, listening and learning to understand how a lift kit changes the vehicle's harmony to original OEM design. I hear noises here and there, look for leaks (finding none so far), have noticed a different behaviour when making tight turns and so forth. It handles differently for sure given the center of gravity is higher. I have more learning to do. No argument. And basically don't know what I don't know about lift kits and OEM performance evolution. However, I'm having a great time and look forward to more experimentation and learning. Two things of note: a) if I have an issue with bottoming out after attaching a loaded off-road trailer, I'll likely change the bump-stops in the rear springs; and b) I was particularly impressed with the solid upper A-arms. They were a seemingly huge and valuable upgrade from the OEM arms. I like the work Slee Off-Road is doing to compose solutions, not just parts.